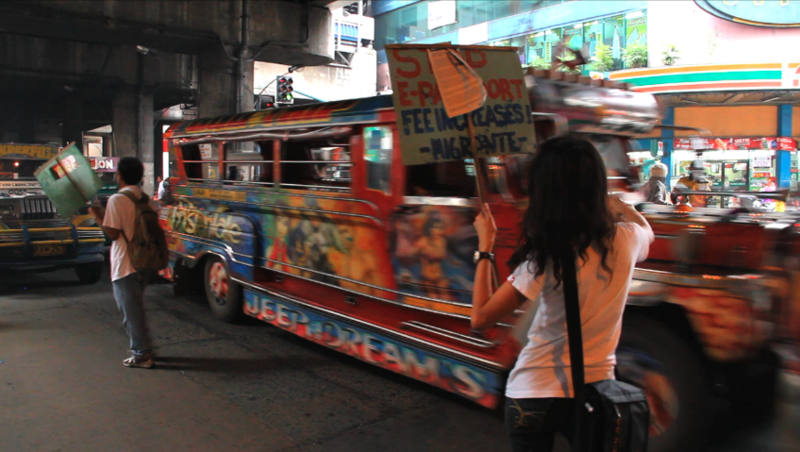 ESY CASEY (Director/Producer) is a Filipino American filmmaker / graphic designer whose love of both of these things attracted her to the jeepney. More of her cinematography work can be seen in the films BORN TO FLY on Independent Lens (with DPs Albert Maysles and Kirsten Johnson, Dir. Cat Gund) and BEFORE YOU KNOW IT on America Reframed (Dir. PJ Raval). JEEPNEY premiered on the PBS World Channel program FILIPINO AMERICAN LIVES, was nominated for Best Documentary at CAAMFest and won the jury prize for Best Cinematography at the Los Angeles Asian Pacific Film Festival. She is the recipient of awards and fellowships from organizations including The Princess Grace Foundation USA, The Ford Foundation’s JustFilms Initiative, The Center for Asian American Media, and The American Association of University Women. SARAH FRIEDLAND (Producer/Editor) is the director of THING WITH NO NAME (thingwithnoname.vhx.tv), which was nominated for Best Documentary at the Los Angeles Film Festival and Best Cinematography at the Woodstock Film Festival. She was named one of the “Top 10 Independent Filmmakers to Watch” by the Independent Magazine, and is a recipient of the 2014 Paul Robeson award from the Newark Museum for her feature documentary The Rink. Her work has been supported by grants from the Jerome Foundation, the Paul Newman Foundation, and the William H. Prusoff Foundation, and she is a LABA House of Study Fellow. She is currently the Director of Film and Media Studies at Wagner College.